Why chose a certified Dog Trainer? 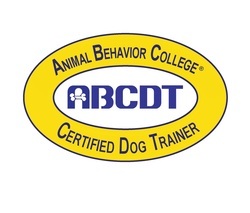 According to national statistics, only 10% of Dog Trainers are professionally educated, trained and certified through an accredited vocational school or program. Many "Dog Trainers" are self-educated through experience or working with other trainers. The result? A lot of frustration for dog owners who are looking for a qualified trainer. GEDT uses positive and reward based training methods, focusing on proper leadership.